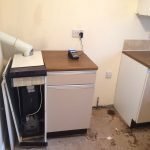 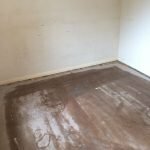 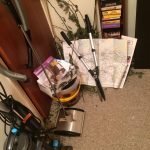 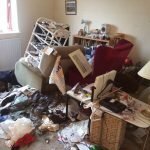 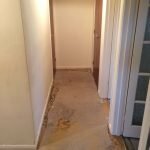 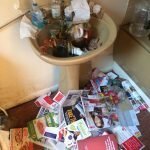 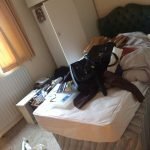 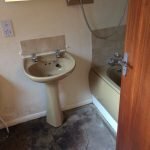 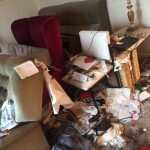 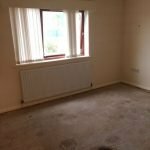 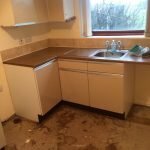 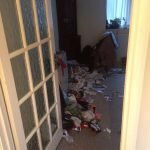 House Clearance Service In Barnsley Cudworth Dodworth Royston Wombwell Worsbrough. 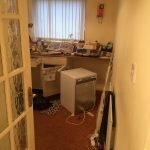 As well as clearing the usual furniture these small items will also need clearing – A pair of Laura Ashely gold pleated lampshades, A blue and black Nutool cordless drill with battery, A brand new boxed Warm up 4IE smart digital WiFi thermostat, A set of five vintage glass Christmas baubles in red and gold, A pair of large Judge black lidded saucepans, A butterfly patterned king size bed in bag set, A black Phillips HD9230/20 Viva air fryer with cover, A cream Kitchen Aid KSM90 ultra power stand mixer with accessories. 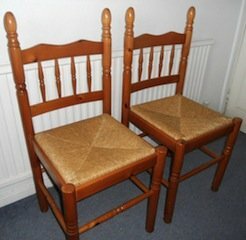 A pair of vintage solid pine and wicker high back dining chairs. 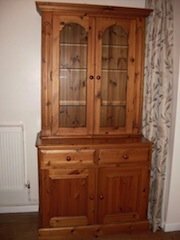 A large solid pine and glass display cabinet, having two drawers above a double cupboard. 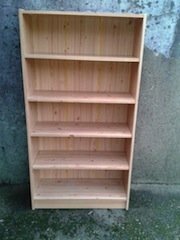 A tall standing beechwood bookcase, with removable shelves. 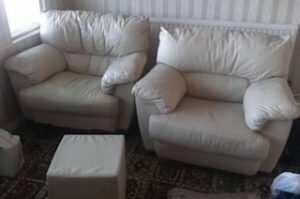 A three piece sofa suite, comprising two armchairs and a square footstool, all upholstered in cream faux leather. 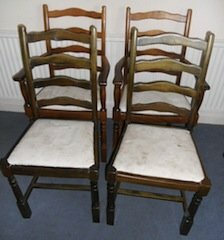 A set of four farmhouse style ladder back dining chairs, upholstered to the seats with cream fabric. 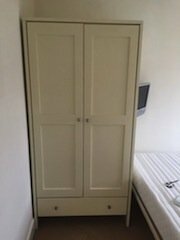 A tall standing solid wood double wardrobe, with a large storage drawer to the base. 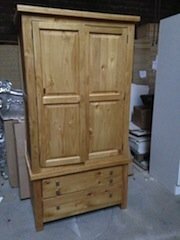 A tall standing solid pine double wardrobe, having two large drawers to the base. 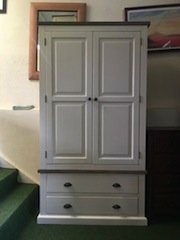 A white painted solid pine double wardrobe, having two large drawers to the base. 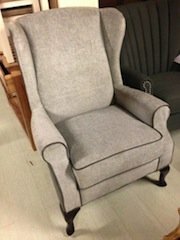 A modern wing back gentleman’s fireside armchair on mahogany splayed legs, upholstered in grey fabric. 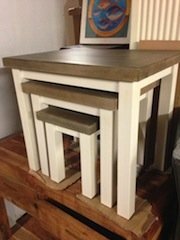 A painted white solid oak nest of three side tables. 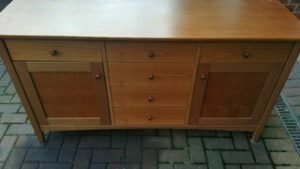 A large solid wood sideboard, having a single cupboard to either side of four central drawers. 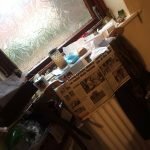 A tall standing solid wood bedroom chest of drawers, having two small over four large drawers. 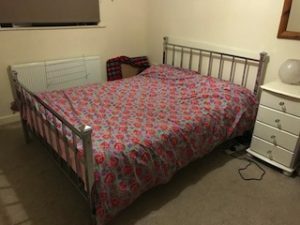 A chrome four poster king size bed frame, together with a silent night king size mattress. 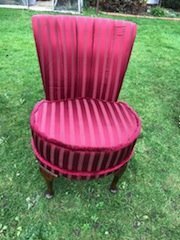 A small vintage vanity dresser chair on mahogany splayed legs, upholstered in deep pink striped satin. 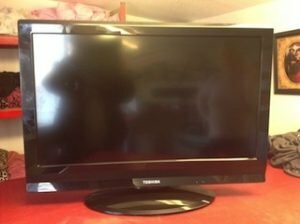 A Samsung 32 inch flat screen black television. 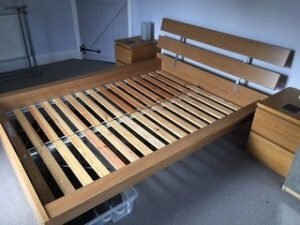 A solid pine king size bed frame, together with a pair of matching bedside drawers.